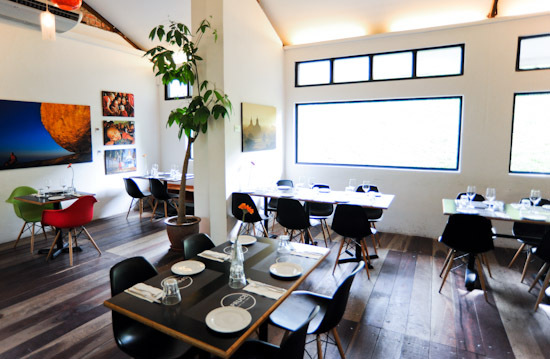 Perched at the top of Phoenix Park in Tanglin, Spruce is a nice cafe which is just a few minutes drive from Orchard. I had been dying to go Spruce after hearing so much about their weekend brunch. Today, I am going to share with you something else, though. Not the weekend brunch, but the Weekend High Tea Set that Spruce has launched. And it is only $14++/pax $21++/pax. Every once in a while, we should all partake a nice afternoon tea with your family and friends. Whilst popular afternoon tea restaurants like TWG Salon, Marmalade Pantry are conveniently located along Orchard Road, they are more often than not very crowded. Even on weekdays! Other than the reasonable price point, the secluded location of Spruce is definitely a highlight for it gives that exclusive and serene feel for being far away from the busy city life. I have readers telling me they cannot make it for the nice afternoon teas on weekdays due to work. Now, there are no more excuses because I am introducing their Weekend High Tea! The $14++/pax $21++/pax Weekend High Tea Set is available during Saturday, Sunday and Public Holidays from 3pm to 5pm. It is definitely one of the cheapest high tea set in Singapore. The High Tea Set includes savoury sandwiches and pastries: Cranberry Scone, White Peach Muffin, Madeleine, Fruit Tartlet, Macadamia Pistachio Biscotti, Cucumber & Egg Sandwich, Salmon & Sour Cream Sandwich, Tomato & Yogurt Sandwich and free flow of coffee/tea. However, there is a small catch. 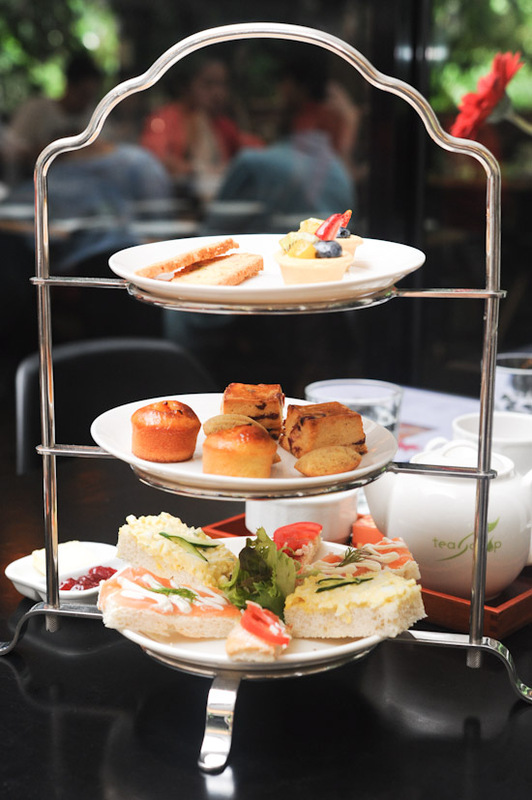 To get the High Tea Set in a nice three tier stand, you need a minimum of two people ($21 x 2 = $42++) to share. Otherwise, they will just serve the food on a single plate. Food wise, I have to say that there was nothing really fantastic – the sandwiches and the pastries were quite ordinary. But there is nothing to complain about since the High Tea Set is priced at a reasonable $14++/pax $21++/pax. On a different note, please be knowledged that reservations have to be made in advance to secure a seating! You know what? I think you should just pick up the phone and make a reservation for Spruce’s Weekend High Tea now. Come on, it is the long weekend. Go for your Easter Brunch and follow up with the high tea at Spruce. Awesome. As for me, I am making plans to head back to Spruce Cafe for their weekend brunch. Very soon. And oh yes, be sure to check out Spruce’s Taqueria too. On Monday to Friday 12 noon – 3pm, Spruce has a little taco shack by the side that serves Tacos and Quesadillas. 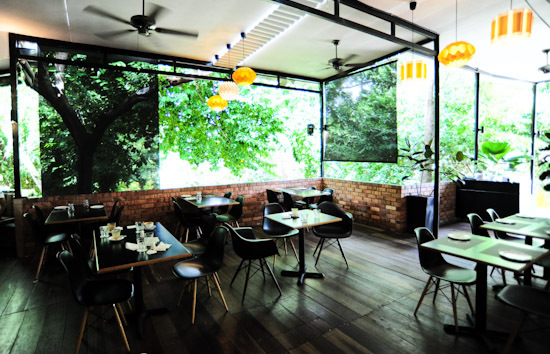 For more recommendations: read Best Cafes in Singapore | Afternoon High Tea Places. Thanks for bringing this weekend getaway for a relaxing sat/sun afternoon. Fantastic price! i think under the advertising law, you should put for all posts which you are paid to do in order to forewarn readers that it’s a paid write-up. in this way, at least readers are able to know when to take the post with a pinch of salt and when to fully “believe” what you wrote. Steff: Yep I agree with you. I will put “Advertorial” for paid write-up or “invited media session” for food tasting. no longer available and replace by a new theme, you may want to remove this.